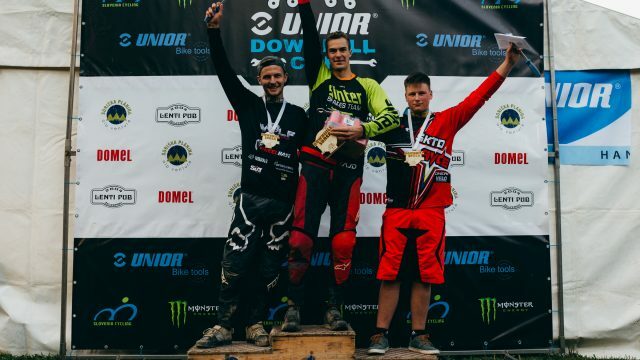 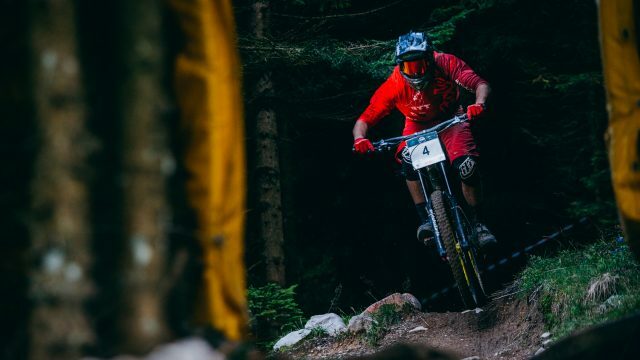 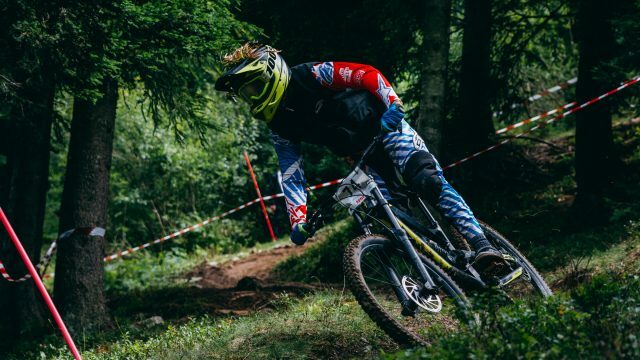 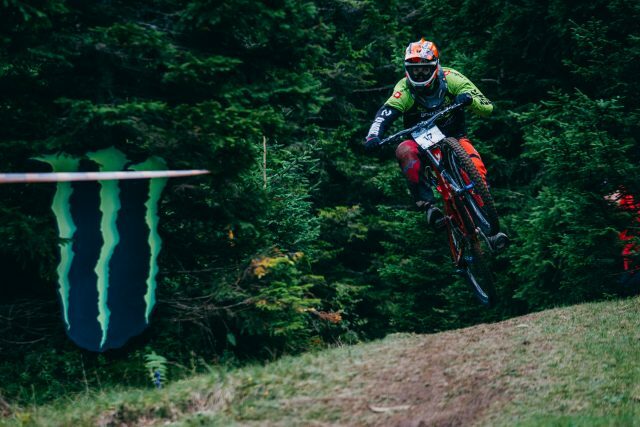 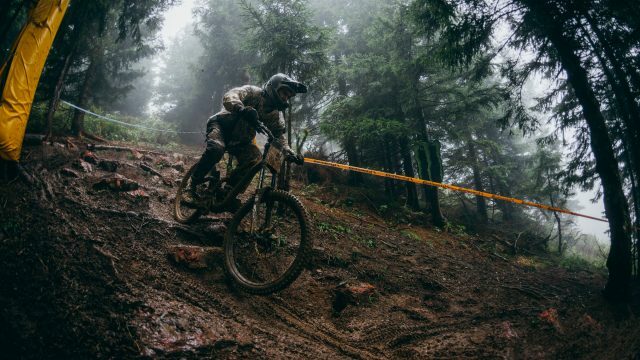 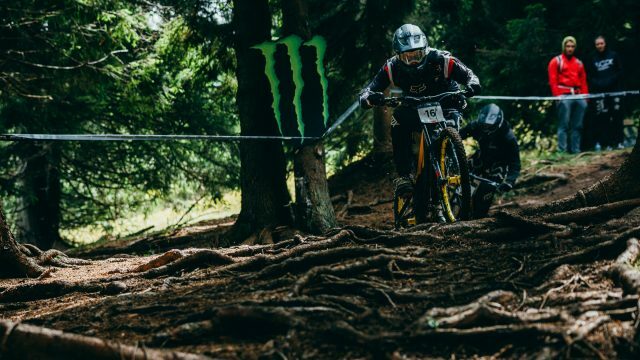 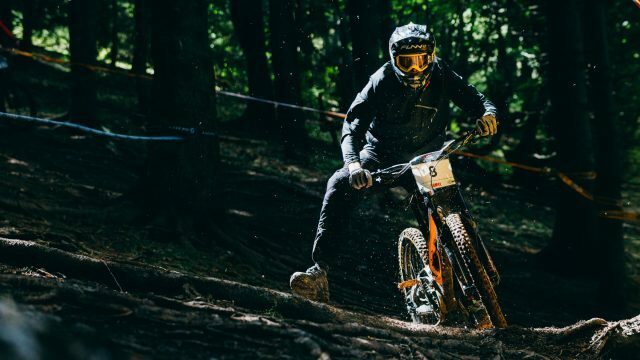 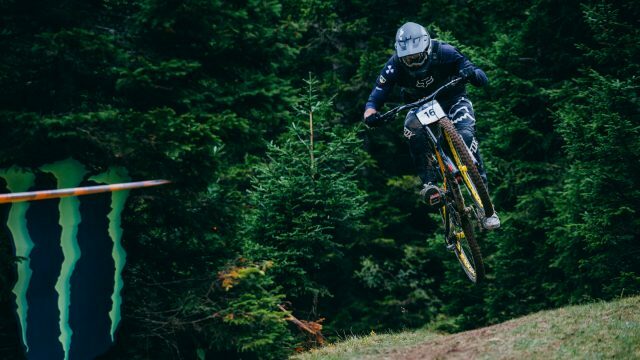 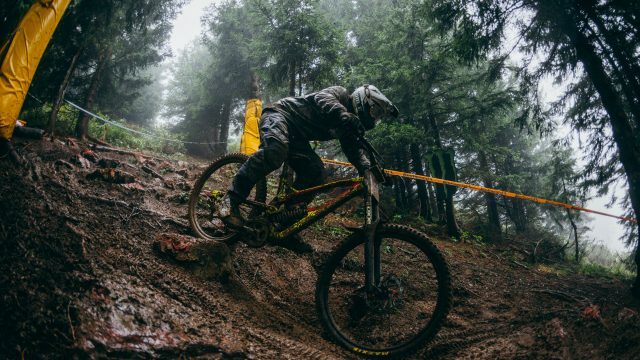 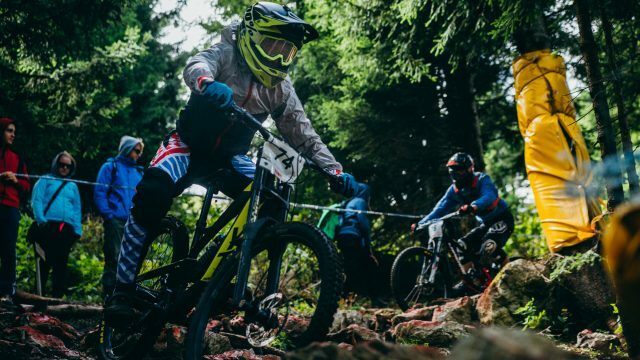 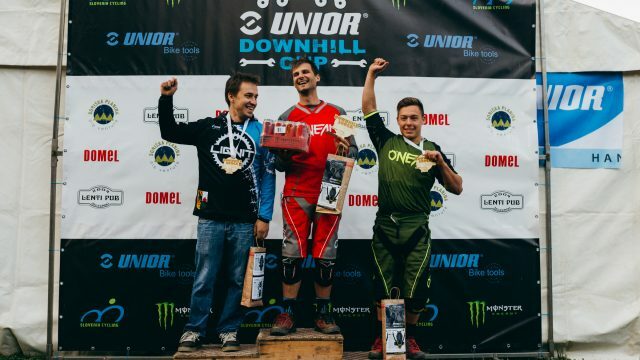 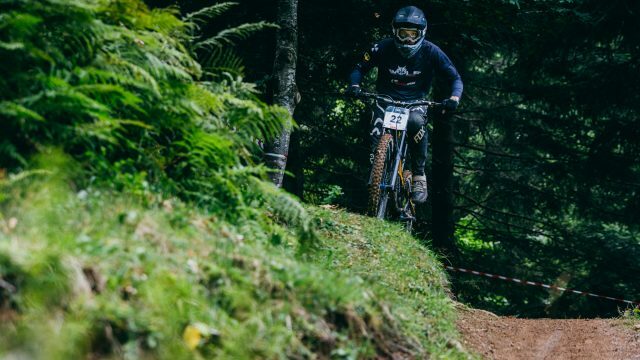 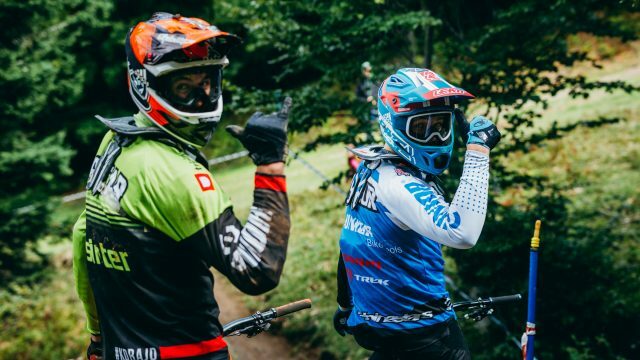 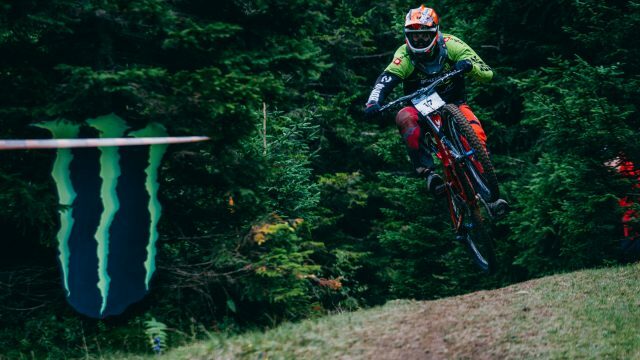 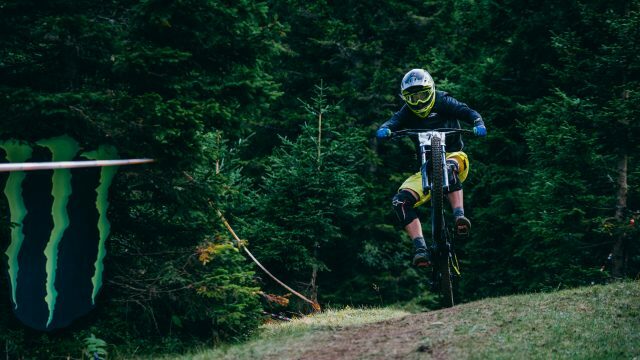 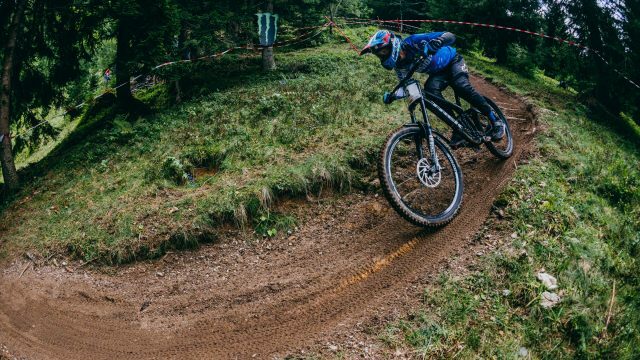 Blackthorn team rider repeats last year’s win in Unior DH Cup round 4, followed by local junior Rudi Pintar and Miha Ivančič. 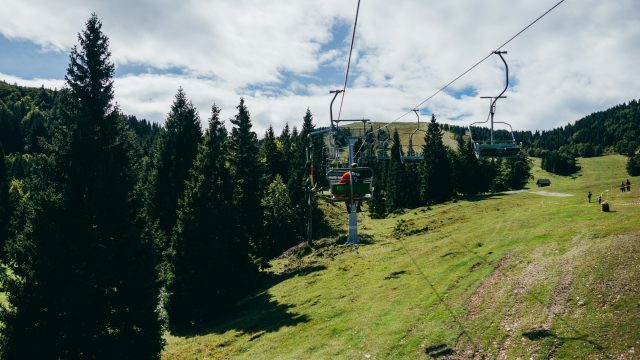 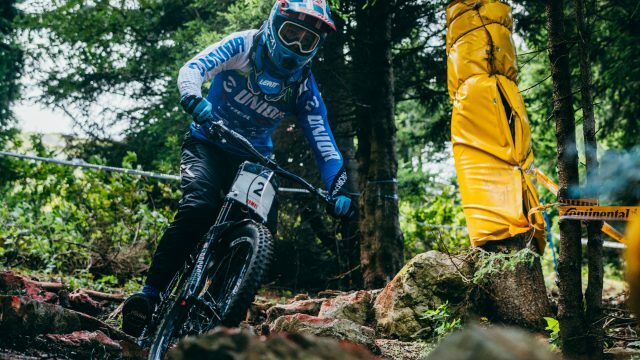 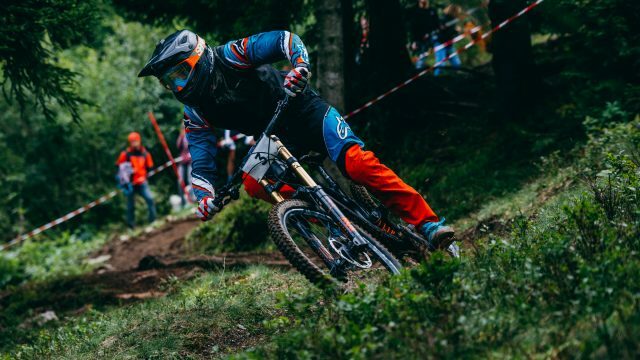 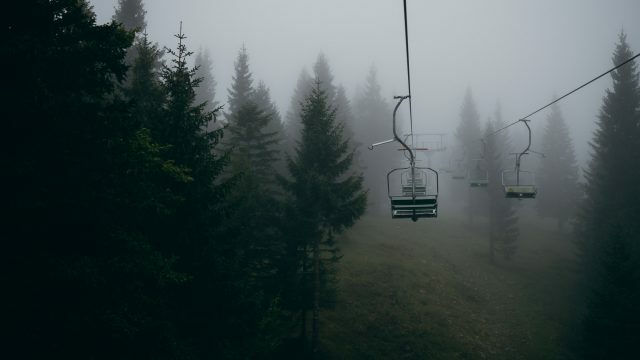 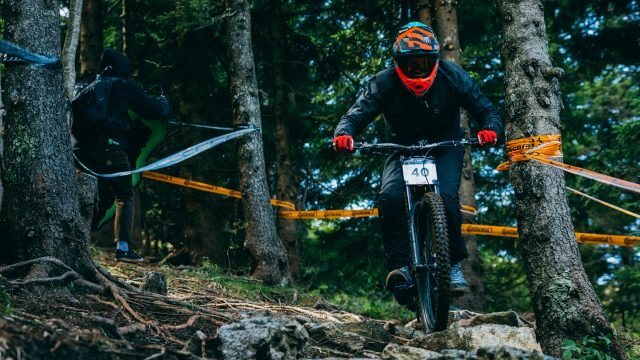 Soriška planina hosted round four of Unior Downhill Cup. 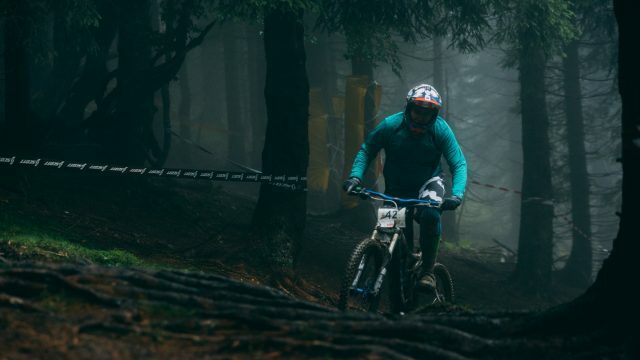 In first three editions this event was lucky with weather but things got a bit more complicated this time. 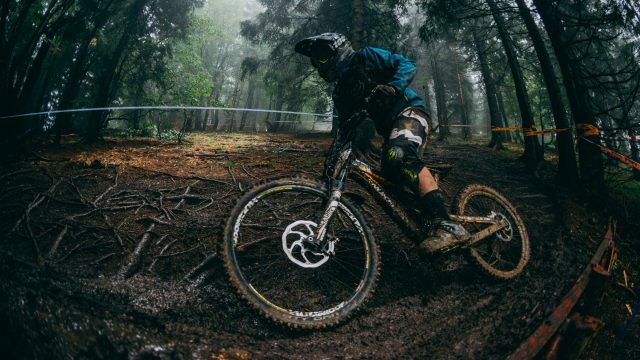 It rained all Saturday and rain continued overnight after practice day. 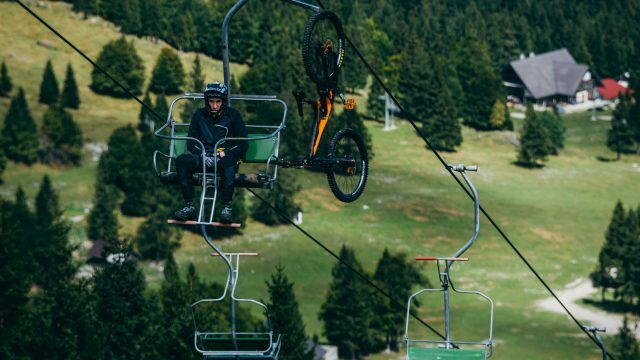 On race day the winds picked up so the chairlift did not run until noon. 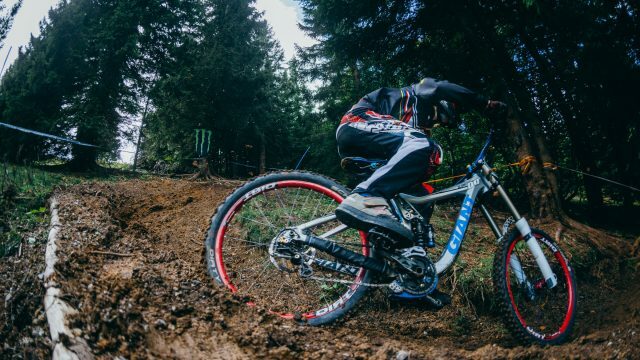 That is when the practice started, followed by semi-final at 2 and final at 4pm. 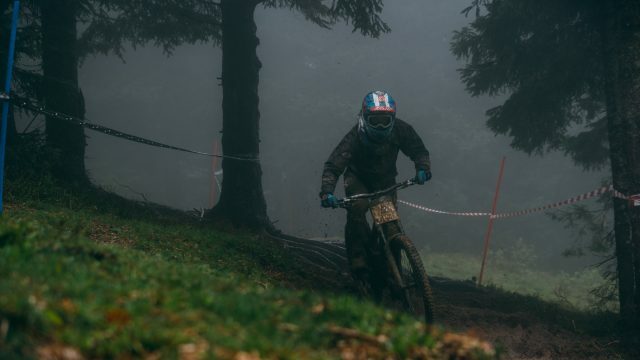 The 1650m track with 280m drop dried nicely in windy conditions and only remained wet in some spots for the final. 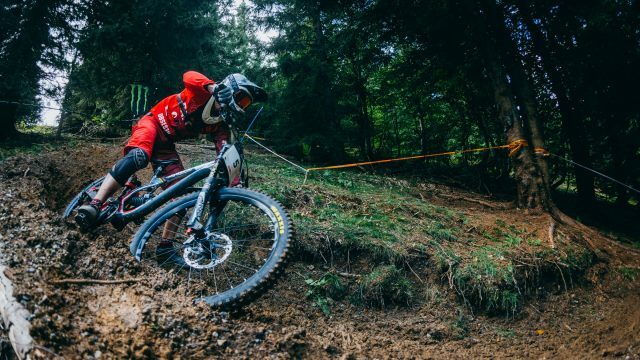 But slippery roots caused a number of crashes in both runs. 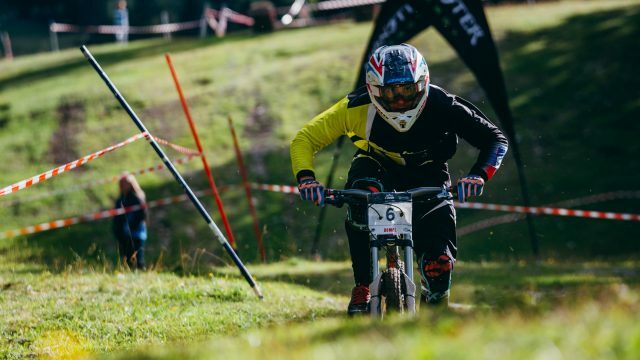 Miran Vauh (Blackthorn) was fastest in the semi-final run of the united category of elite men and junior men, the category which raced for UCI Class 2 points. 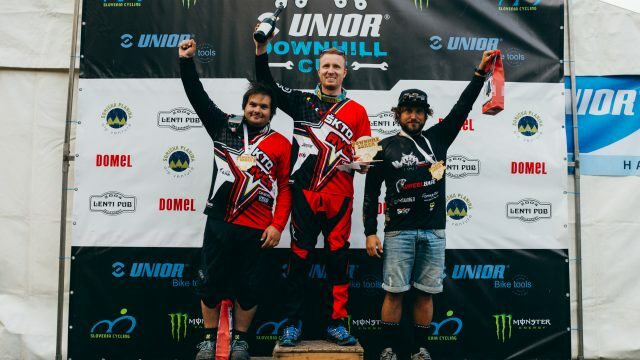 In absence of series leader Jure Žabjek (Unior Tools Team) – who is already in Australia for World Championships with Monika Hrastnik – Miri also hoped to take the lead in the series before the final in Maribor on September 23rd. 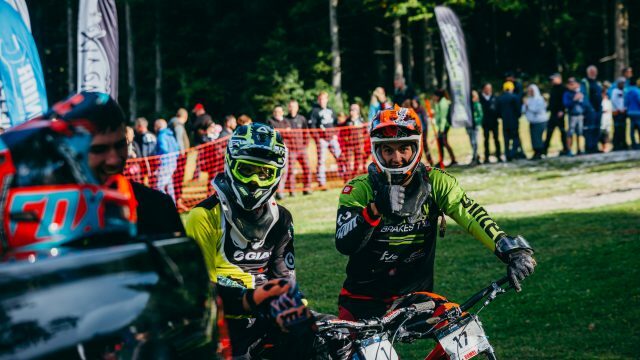 Last year’s winner, Vauh’s teammate Luka Berginc followed in second, and Miha Ivančič (ŠKTD Avče) in third place. 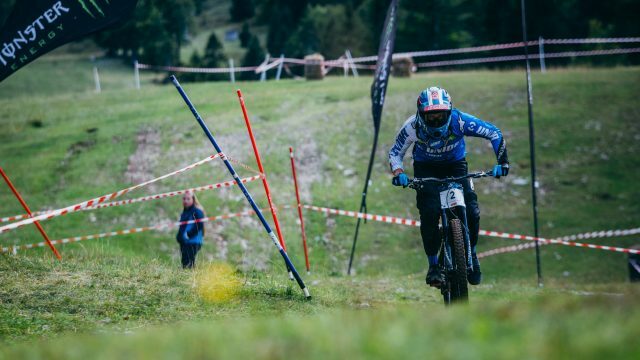 When the fastest five from semi-final remained on track and at the start, the junior National champion Rudi Pintar (Sinter Brakes Team), local rider from the nearby village of Sorica, was occupying the hot seat. 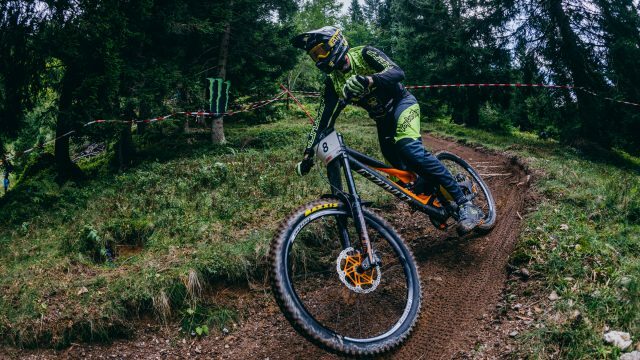 This means he had already won the duel with Matic Kokelj (Wolf Racing Team), who remains the series leader in junior category. 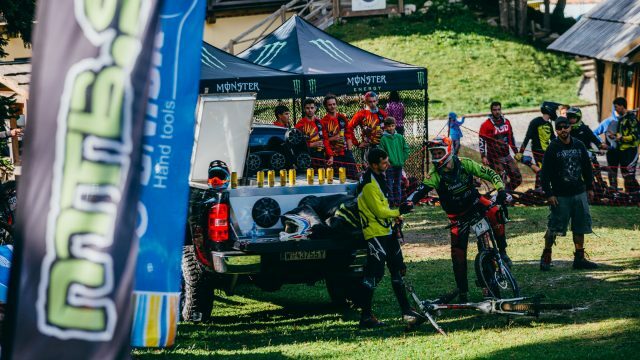 Jan Cimperman (MTB Trbovlje) and Žiga Pandur (Unior Tools Team) finished behind Pintar, then Ivančič as well. 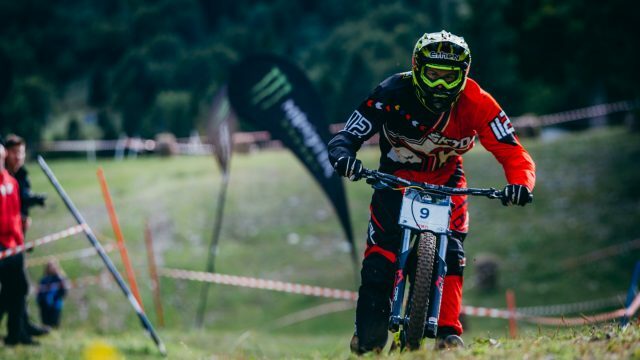 Only the incredible Berginc was faster by 2.23. 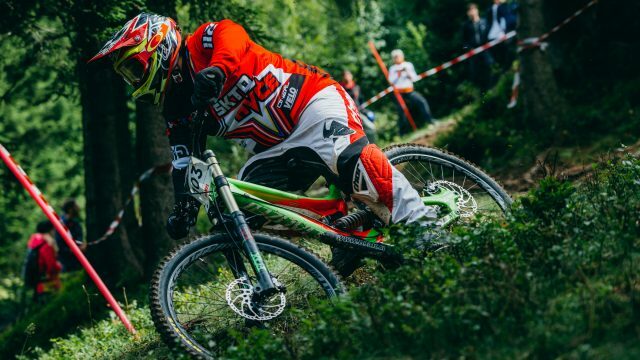 Vauh was the last one on the track but crashed and finished way down the field, scoring no series points. 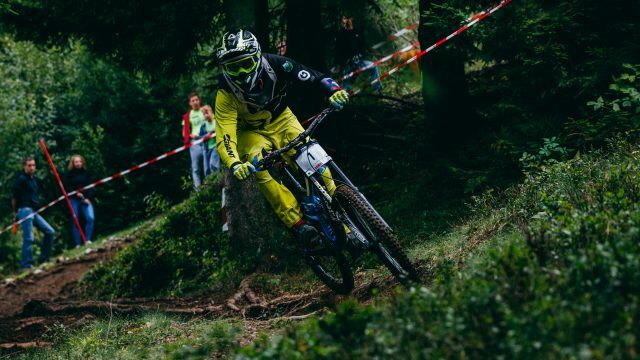 Pintar won the U19 in front of Kokelj and Blaž Gerbec (ŠKTD Avče) took third. 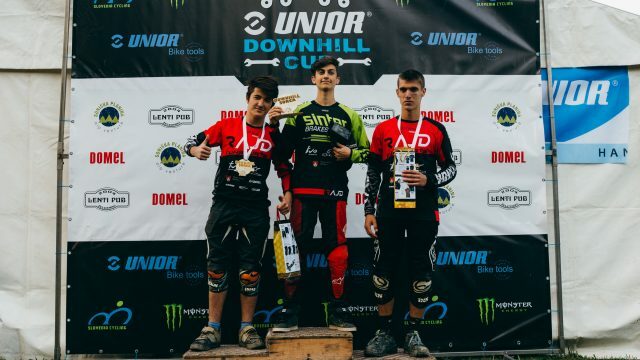 Marko Niemiz (Sinter Brakes Team) won the U17 once again in front of Žak Gomilšček and Gašper Jurečič (both Rajd Funsports). 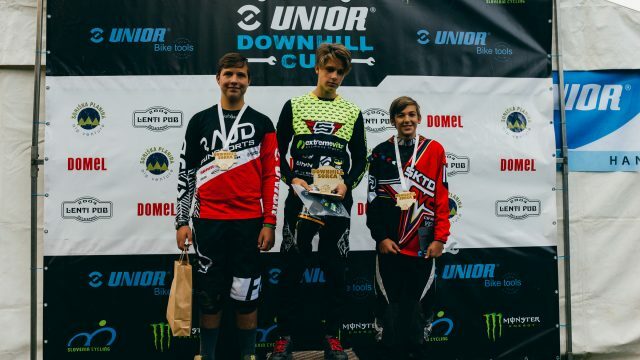 Erazem Kos (Supersnurf) won in U15 where Tilen Horžen (Rajd Funsports) was second and Aljaž Ipavec (ŠKTD Avče) third. 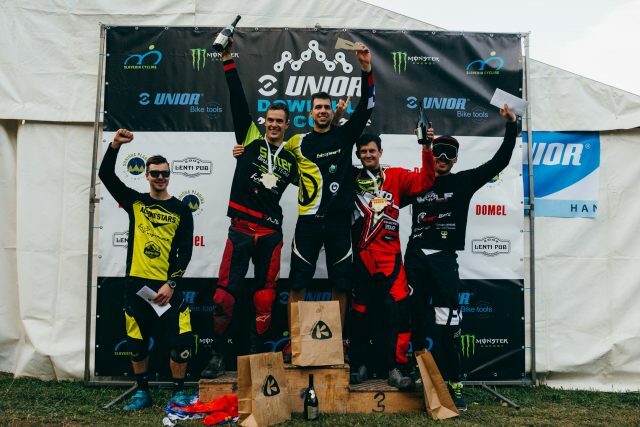 Gašper Jereb (Avče) won in masters category in front of teammate Emanuel Humar and Boštjan Volf (Wolf RT) and Andreas Vidovič (Ganesha Team) in amateur in front of Urban Napotnik (KD Lignit) and teammate Nino Kokelj. 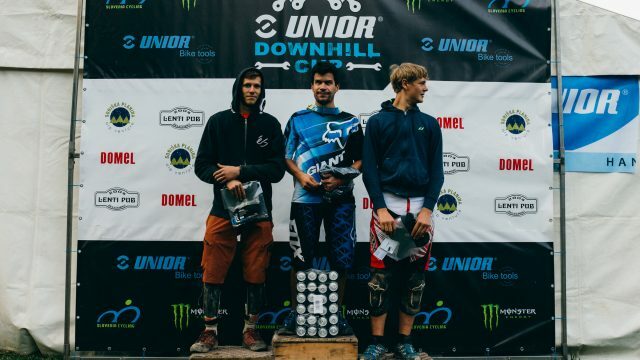 There were no women at the start this weekend. 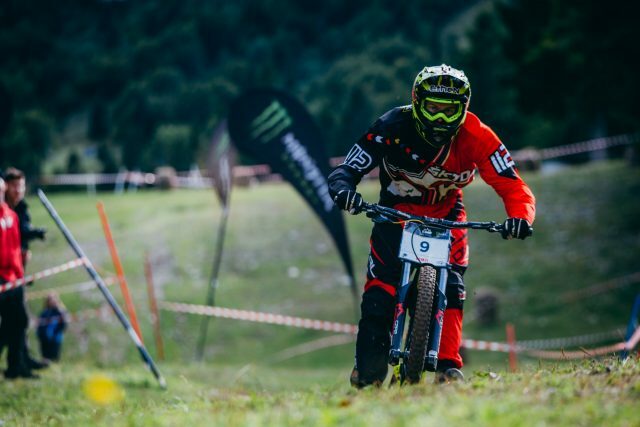 88 riders from Bosnia and Herzegovina, Croatia, Italy and Slovenia picked up the number plates this weekend. 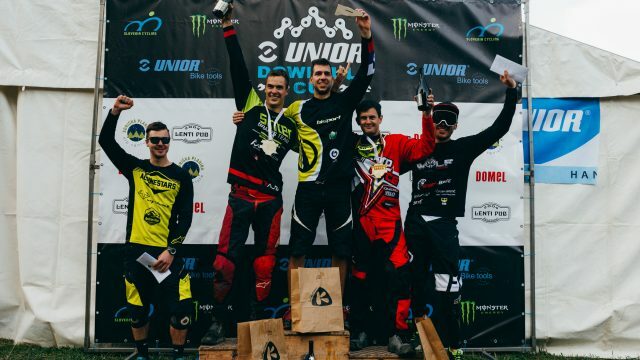 Round five, the final of Unior DH Cup, follows on September 22nd and 23rd, the Visit Pohorje Downhill in Maribor.